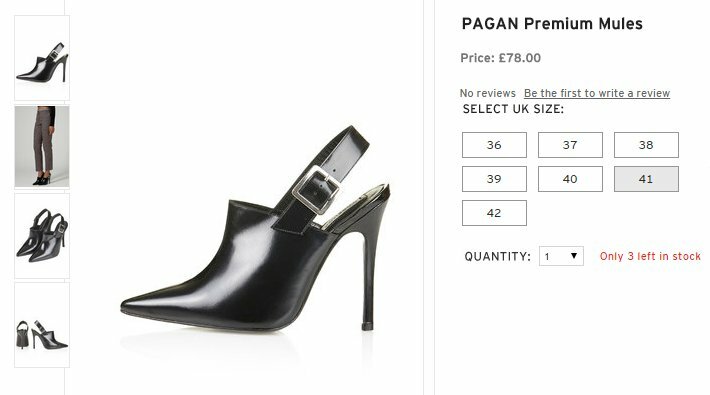 I might have missed some of the upmarket brands (Karen Millen, All Saints etc) but these would usually be out of my price range anyway. Yet to do BooHoo, and one other similar store (the name of which escapes me ** Missguided**) that I know I will spend more than 3 minutes looking at.... so will do another time .... I purposely avoided Matalan, and Debenhams as they have forgotten what an attractive heel looks like. Lean times ahead for me. A good thing, as I'm reducing the collection. A bad thing as I've nothing in the shoe department to look forward to wearing. I just bought a pair from Asos, which I will talk about later. First pair I bought this year, but also waiting on another pair. I keep looking at Newlook website at the moment as I think they got some good styles at the moment.